I think that’s where they showcased Oddworld Stranger’s Wrath on Switch for the first time. ☆ NintendObs Weekly – Monday, September 17, 2018 – Sunday, September 23, 2018. Enjoy more than 40 games on over 120 demo stations on the Nintendo Stand at EGX 2018! Diablo III: Eternal Collection, Starlink: Battle for Atlas, Dark Souls®: Remastered and many more join the line-up of playable games! Diablo III: Eternal Collection, Starlink: Battle for Atlas, Dark Souls™: Remastered and many more games will join Super Smash Bros. 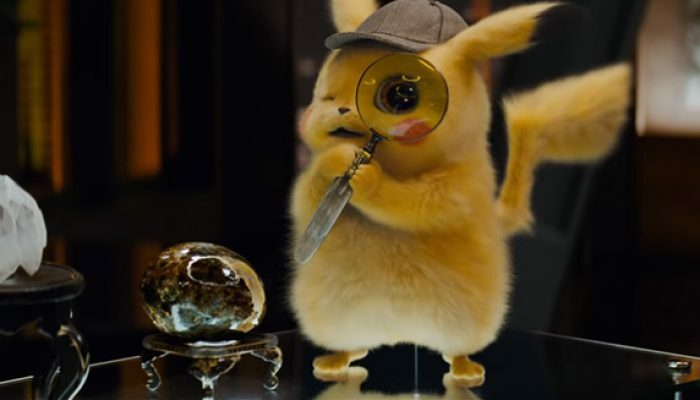 Ultimate, Pokémon: Let’s Go, Pikachu!, Pokémon: Let’s Go, Eevee! 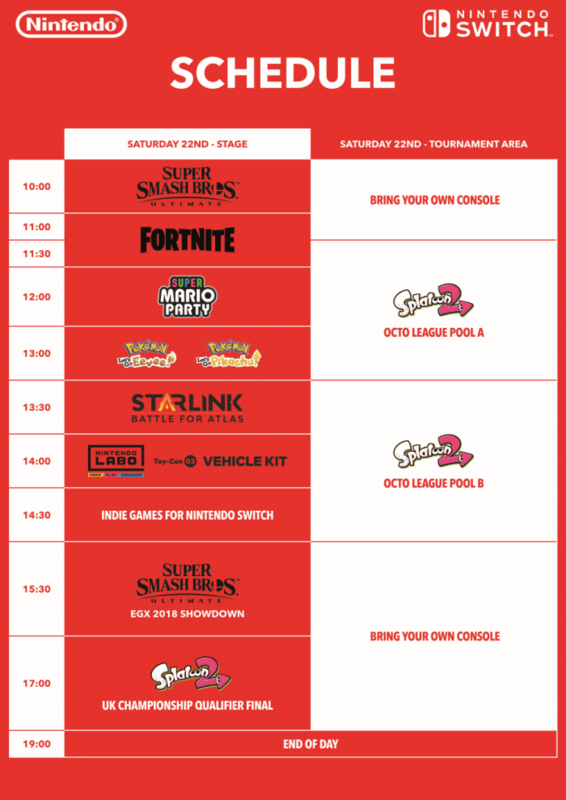 and Super Mario Party to make up a list of more than 40 playable demos on the Nintendo stand at EGX 2018! 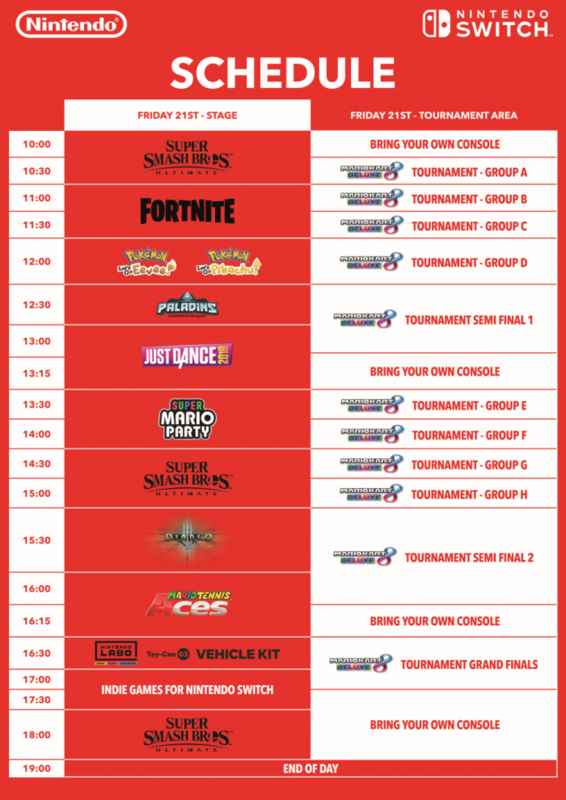 Alongside this diverse range of games to play on Nintendo Switch and Nintendo 3DS family systems – which also includes Stick Fight: The Game, Broken Sword 5: The Serpent’s Curse and Oddworld Stranger’s Wrath, all on Nintendo Switch – there will be a live stage show on the Nintendo Stand to get involved with every day of the show! This stage show will feature exclusive demos of various games, including a Diablo III: Eternal Collection demonstration hosted by Yogscast Turps and a special presentation of Broken Sword 5: The Serpent’s Curse by series creator Charles Cecil, to name a few. 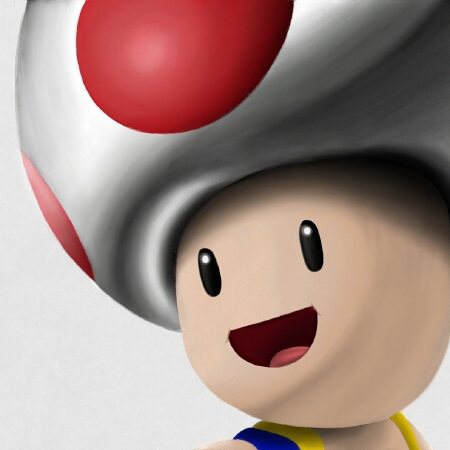 There will also be fun multiplayer battles on stage to test the mettle of Nintendo fans at the event. Keep an eye out for special appearances of Pikachu and Eevee and make sure you get a photo with them in and around the Nintendo Stand. Saturday 22nd September will play host to the next Splatoon 2 UK Championship qualifier tournament. 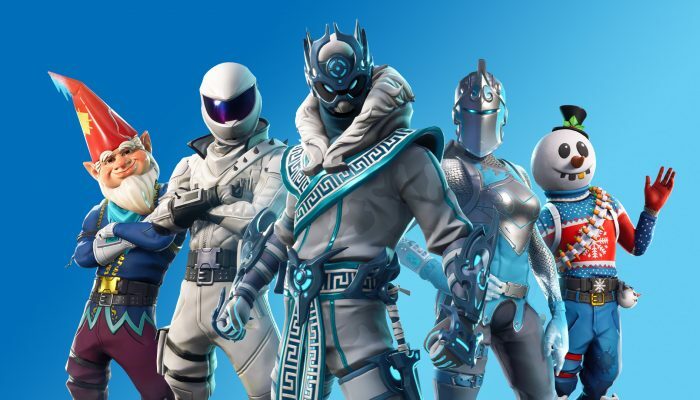 Please visit the tournament desk at EGX to register for these events. Also, if you’re attending the event, make sure to bring your Nintendo Switch so you can play whatever you want with other fans at the show, as when the tournament zone isn’t running competitions the docks and screens are available for anyone to use! For those that can’t make it, fear not! 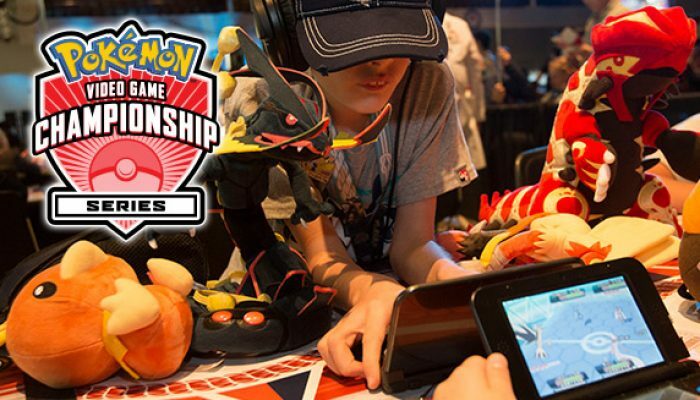 We will be livestreaming during show hours on Saturday and Sunday, bringing you the action from the headline tournaments, as well as interviews with top players, and general coverage from the event. 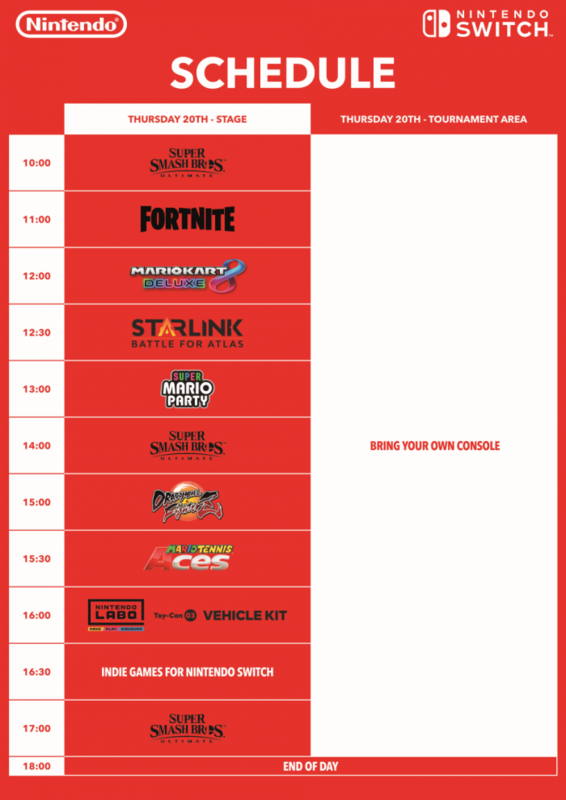 Make sure to tune in at Twitch.tv/NintendoUK or YouTube.com/NintendoUK, and follow @NintendoUKVS and @NintendoUK on Twitter to learn about the full schedule soon. 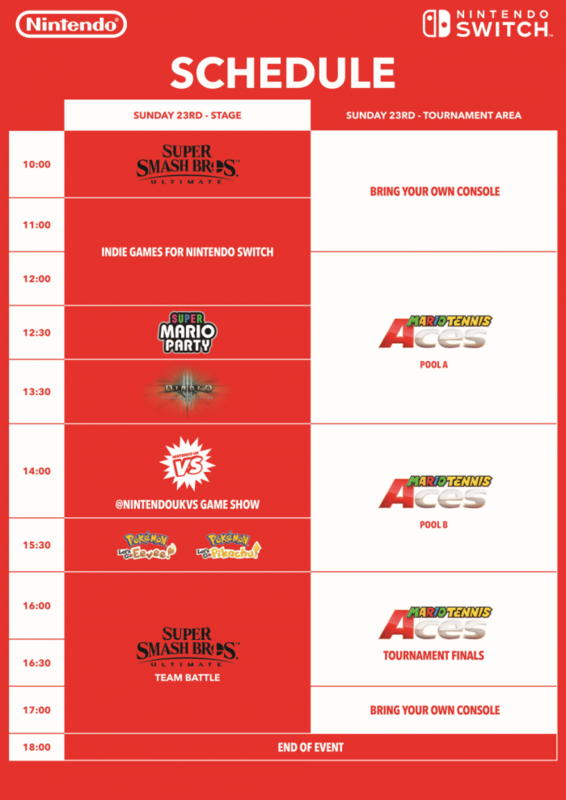 For full stage and stream schedules, check out the timetables below.